This is a 72-page zine about doing game development with PICO-8. 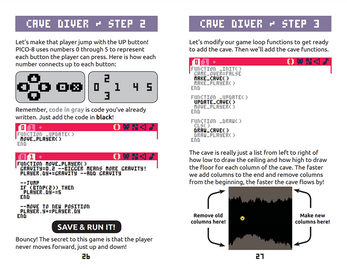 The zine assumes you have never done game development before. 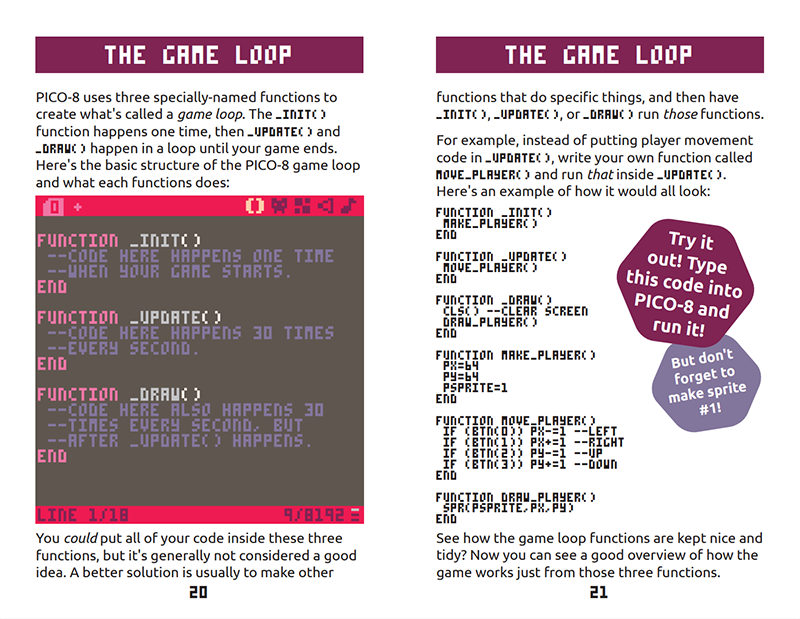 However, there are sections specifically for people who have done game development before, but would like to do so in PICO-8. 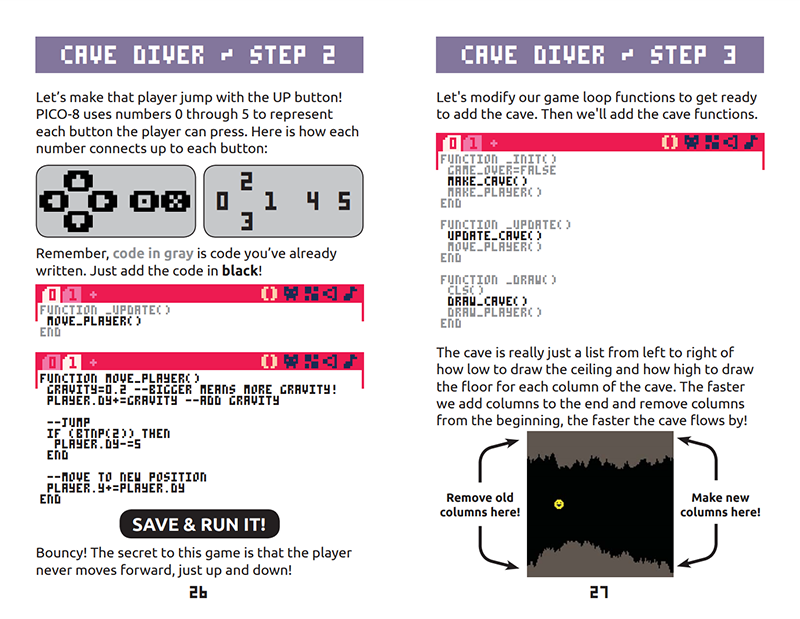 If you don't know what PICO-8 is, watch the video on this page. It will explain what it is and why it's so great. You can purchase PICO-8 from Lexaloffle for $14.99. Many PICO-8 community members from the BBS and #pico8 on Twitter contributed wonderful art from their games and creations. Thank you to all of them for their contributions. 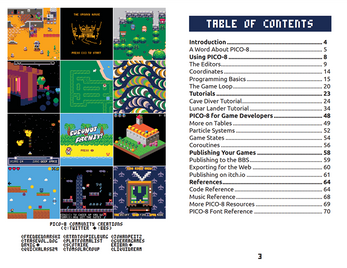 This zine was initially created for a game development workshop series with the Portland Indie Game Squad (PIGSquad). All attendees received a printed copy. A second at-cost printing will be soon be done via Kickstarter. 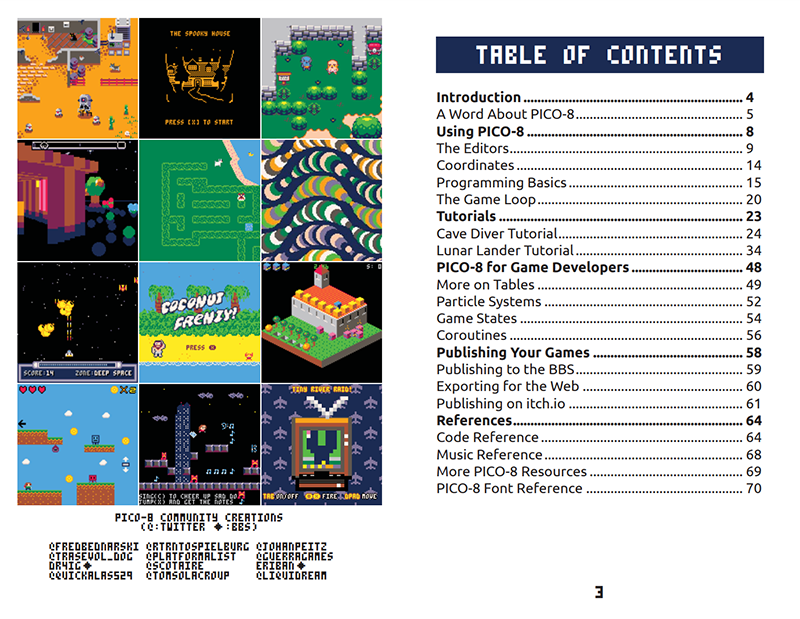 A huge thanks to @zep for not only creating PICO-8, but for direct support he gave to make the zine and workshop possible. Finally got around to buying this!